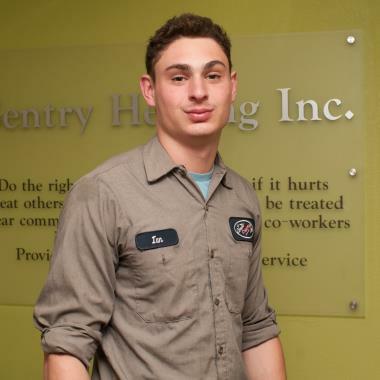 Jeff always does a thorough and meticulous job of tuning up our three units Spring and Fall. Ultimate professional. Technician was on time and pleasant to deal with. Good job. I posted it on YELP. Prompt, courteous service that's well-appreciated. Gerry was very friendly & polite. He explained things well. He was on time! Billy was capable and proficient in examining and servicing our new unit which we had installed last summer. He explained the tests he ran and the results obtained. I asked him several questions which he was able to answer knowledgeably. He was friendly and prompt. 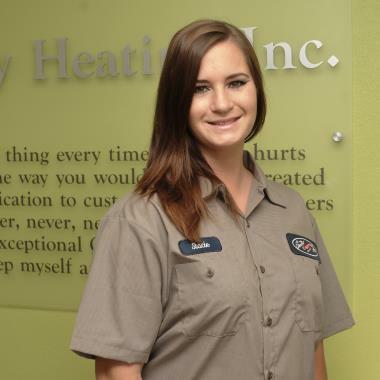 I have nothing but GREAT things to say about Gentry Heating Inc, Today Stacie serviced our system preparing us for the summer heat, she is very professional and did a thorough job.. I recommend Gentry's to everyone..
Love everything about this company. I’m always pleasantly surprised with the service I get from Gentry. Kindness, respect, and courtesy, coupled with knowledge, really go a long way! Thanks! Excellent workmanship, cleaned up site excellently, Gentry has a “keeper “ tech! 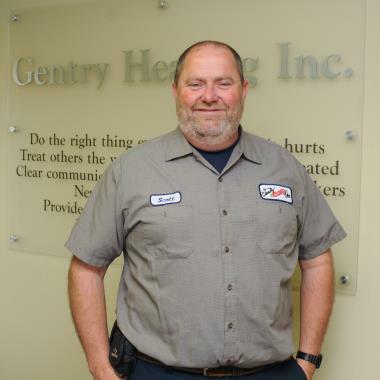 I very much appreciate Gentry Heating - both in response to any emergency I might have as well as in thorough and careful maintenance of my system. I absolutely trust that I am in good hands. 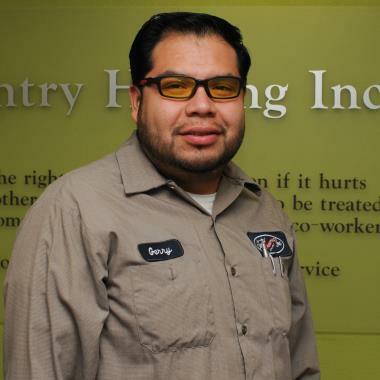 Gerry Ramos was here yesterday and took time to test and check and clean every bit of my heating/cooling system. Thank you so much for being so conscientious and always responsive and helpful. Asheville is a scenic community that serves as the county seat for Buncombe County in Western North Carolina. Tucked away in the Great Smoky Mountains and Blue Ridge Mountains, Asheville is characterized by its distinctive architecture, low crime rate, rich history and business-friendly environment. Historians credit William Davidson with founding Asheville in 1784 after enduring a treacherous journey through the Blue Ridge Mountains. Davidson and his family appreciated the stunning beauty of the region and decided to establish a permanent settlement. In 1791, Buncombe County was officially sanctioned as more settlers relocated to the area. The abundant natural resources were used to accelerate growth, and the city of Asheville was chartered in 1797. At the turn of the 20th century, Asheville continued to expand by constructing a series of roads that connected the town to population centers in the surrounding area. In 1928, a road that traced the French Broad River was completed, which gave Asheville access to a number of prosperous western markets. As transportation became more accessible, Asheville gained a reputation as a premier resort destination for affluent residents from the South. Expansion continued when the Western North Carolina Railroad laid track through the Eastern Continental Divide, which created opportunities for visitors from distant locations to enjoy the breathtaking beauty of Asheville and greater Buncombe County. Over time, there were many historical architectural treasures built in Asheville including the Jackson Building, the Asheville Board of Trade and the Grove Arcade. Today, Asheville continues to be a world-class resort community with a thriving business environment. Asheville is distinguished by its moderate year-round weather, natural beauty and diverse population. Visitors and local residents enjoy participating in a variety of cultural, entertainment and outdoor activities designed for families, seniors and active adults. Asheville Visitors Center: The visitors center is located inside the Asheville Chamber of Commerce building, adjacent to downtown Asheville. Brochures are available for all of the area’s attractions, restaurants and shopping venues. The center offers a free visitors guide as well as detailed relocation information. Asheville Art Museum: The museum was founded by local artists in 1948 and presents a regular schedule of art exhibits and public programs. A permanent collection of 20th and 21st century art is always on display, and works associated with Western North Carolina’s cultural heritage are regularly featured. Biltmore Winery: The Biltmore winery is located on an 8,000-acre estate in the Blue Ridge Mountains near Asheville. The Biltmore accommodates more annual visitors than any other winery in America, and guided tours provide insight into the wine-making process. Every tour includes a visit to the historic Biltmore cellars. Asheville’s demographics highlight its resort heritage and diverse culture. The metropolitan area provides all of the important big-city amenities while still retaining the charm and natural beauty of the surrounding Blue Ridge Mountains. Schools: The Buncombe County School District serves the residents of the Asheville area by providing classes for children from K-12. 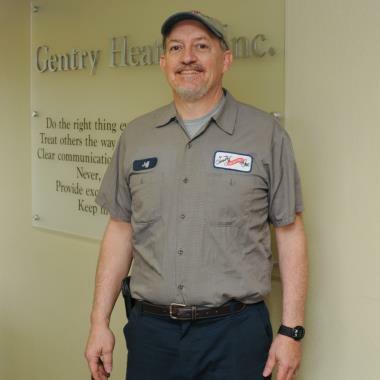 The summer weather in Western North Carolina is hot and humid, and local residents rely on a dependable heating and cooling system to keep the indoor environment healthy, safe, comfortable and energy efficient. 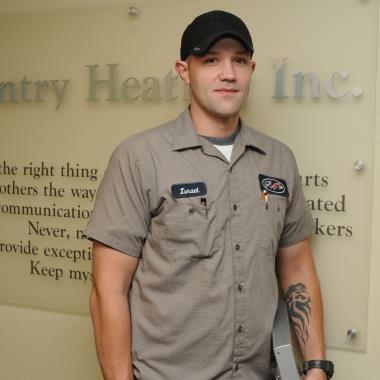 The professionals at Gentry Heating provide a full array of air conditioning services including installation, maintenance and comprehensive air conditioning repairs. We invite you to explore our website and learn more about the many advantages of owning a modern air conditioning system.